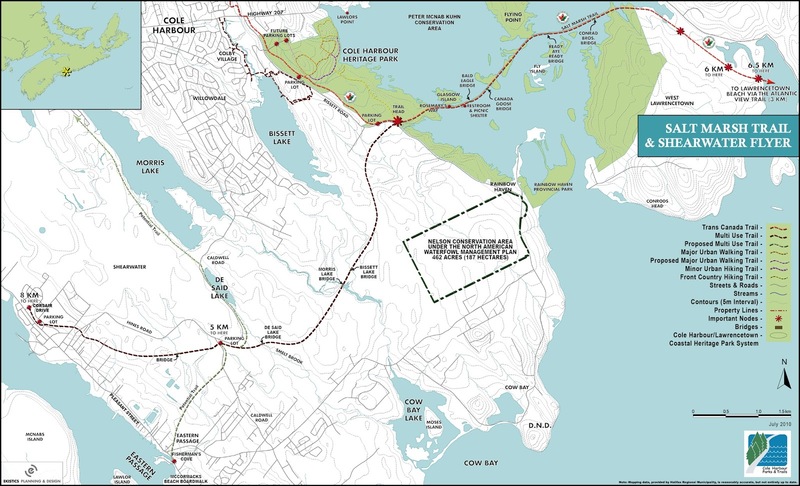 The Salt Marsh Trail is part of the abandoned Musquodoboit railroad that has been transformed into a part of the Trans Canada Trail. The trail provides an easygoing adventure for hikers and bikers alike. This trail is also a popular cross-country skiing destination in the wintertime. Click here for a more detailed trail description. The Shearwater Flyer follows the route of the Musquodoboit Railway from Shearwater to Bissett Road, where it joins the Salt Marsh Trail. It is a 99 foot right of-way with mostly private properties on either side. It crosses bridges that offer good fishing spots, and passes several bogs with unusual flora. 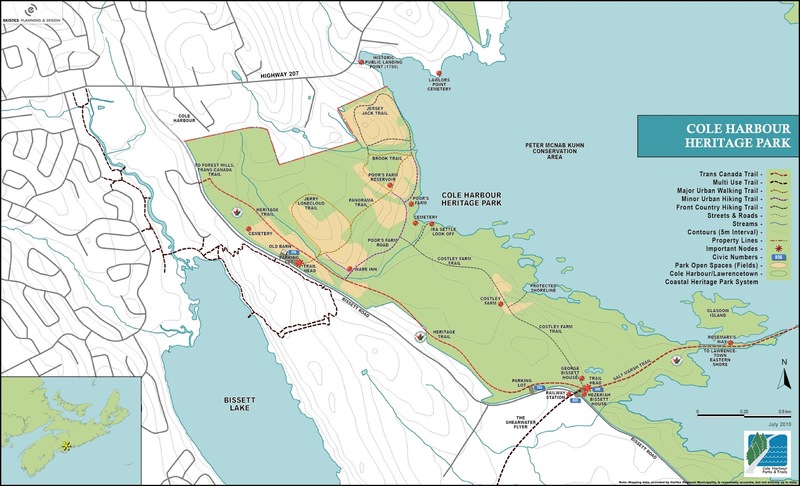 This 400 acre provincial park was built and is maintained by the Cole Harbour Parks and Trails Association. 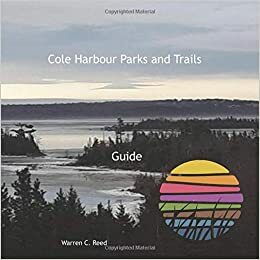 A hike at the Heritage Park will have you meandering through the fields of two old farms, following a babbling brook, and sweeping past the shoreline of Cole Harbour.